Outside, in the July evening, the round grey pebbles of the lake shore were still warm from the hot summer sunshine. The sky across the water was turning to pink, but he was comfortable outdoors in only shorts and T-shirt. Gathering handfuls of sticks, he prepared a little fire on the shingle a few yards from where he’d pitched the tent. He no purpose but leisure, and no food to cook. He had the ancient desire to look into the heart of the fire. 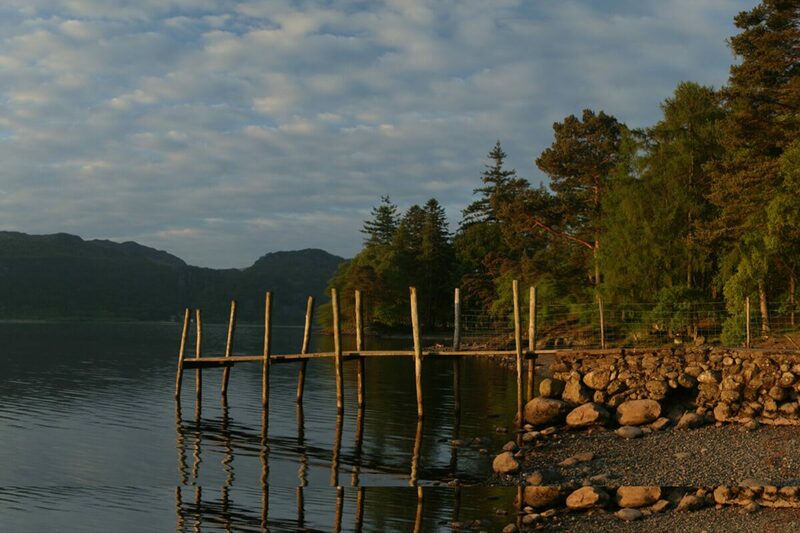 He’d been brought to the Newlands Valley, to this western shore of Derwent Water, as a boy. In that single week he had lost his heart. He loved it all: the tree-clad islands, the rounded fells, the delicate peace-drenched light at evening and early morn. As the dry sticks caught fire and began to burn, he recalled the smell of woodsmoke. This little place, this nook of old England, this quiet corner of the Lake District, was to him, a kind of spiritual centre, a place of pilgrimage. Behind the little tent on the tree-fringed meadow by the lake, the land rose up in waves to the high tops, even at this hour, crested in sunshine. In the stillness, the sound of sheep high on the fell could be heard.